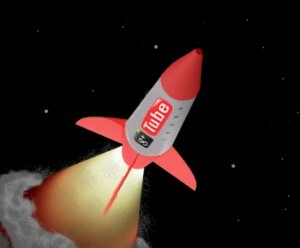 Google+ is getting Googled-out with new support for YouTube as well as integration into the company’s browser Chrome. Certainly, Google has a lot of great products to offer outside of Google+. But Google has impressive visions for what Google+ will become, and the individual product launches are only stepping stones to get there. Google+ now sports a “YouTube slider,” which appears when visitors scroll over the YouTube icon at the top right of their Google+ screen. The icon will unfold in a separate pop-up window and ask what to play. You can then search for, watch, and share the video to your circles inside the social network. But you’re not limited to Google+. If you close your other Google+ windows, the pop up will continue to play whatever video topics you choose. Once you’ve chosen a video, Google+ will automatically queue up a list of related videos and begin playing them. When you share a video, the same queuing action will occur and will directly attach to your post. This element of YouTube adds another element. Chrome users will also have added extensions for easy Google+ access. Your browser window now sports a notification button, so you can see and respond to people adding you, responding to your comments and more in real-time. You will also be able to +1 different websites directly from the Chrome browser. With YouTube’s Integration with Google +, everyone can add videos in the Hangout through a search tool in the app, or remove the videos you don’t like. All your friends in the Hangout can drag and drop videos to sort the order in the playlist or skip forward or backward to play the next one, Click the “Push to talk” button to chat with the group to give props to the best curator. At this point we can only assume that Google+ will play a major role in how your website is returned in search engines. Learn more about MARION’s services for SEO today.